Very easy appointment! Waiting room a little crowded but I was seen very quickly. Dr. Taylor was super easy to talkto and very reassuring! Would highly recommend to anyone! Very easy appointment! Waiting room a little crowded but I was seen very quickly. Dr. Taylor was super easy to talk to and very reassuring! Would highly recommend to anyone! Dr. Taylor is a very kind, sweet, professional doctor. She was thorough and great with my son, making sure to explaineverything fully. I highly recommend her! Dr. Taylor is a very kind, sweet, professional doctor. She was thorough and great with my son, making sure to explain everything fully. I highly recommend her! 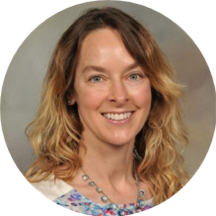 Dr. Sarah Taylor is a board-certified dermatologist and 15 year veteran of the United States Army. She has over 9 years of experience seeing patients of all ages, from babies to grandparents, while practicing dermatology at both Ft. Meade and Ft. Gordon. Dr. Taylor is thrilled to put down roots in Vienna and develop long-lasting relationships with her new patients. Her goal for every patient is to feel comfortable and supported and to know, as a physician, she is an ally. She takes pride in staying current on new dermatologic treatments and procedures to ensure that her patients have the best possible care solutions. Dr. Taylor provides a broad-spectrum of dermatology care from skin checks to pediatric dermatology and cosmetic treatments including Botox, fillers, chemical peels, laser treatments, and microneedling. Dr. Taylor was very quick to see me and extremely responsive to all of my questions. She and her staff all had excellent bedside manner as well! I would highly recommend this team!! Very nice and thorough. Quick. Very organized.